GRIH VATIKA HOMES PVT. 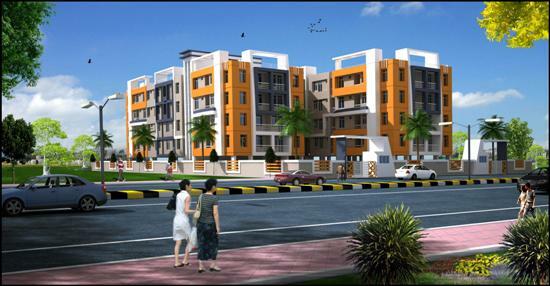 LTD. IS ONE OF THE LEADING REAL ESTATE DEVELOPMENT COMPANY IN INDIA WITH BUILDING ACTIVITIES SPREAD ACROSS THE COUNTRY. It provides high quality living.. With a commendable track record, the company has built a loyal customer base. The companies project management skills are attested by a loyal customer base who has vested their trust by buying multiple properties in its projects. The companies projects are marked by a commitment to provide innovative design, investment value, and matchless quality. At, Grih Vatika Homes right from concept to completion, every step of the architectural and construction process is closely managed to produce a built in environment that is efficient, attractive and operationally sound. GRIH VATIKA HOMES HAS THE IN-HOUSE TALENT, EXPERTISE, AND CRITICAL COMPETENCIES TO SKILLFULLY EXECUTE ALL ASPECTS OF THE DEVELOPMENT PROCESS, DELIVERING THE PROMISES ON TIME AND ON BUDGET. Grih Vatika Homes approach combines proven expertise in execution and implementation with in-depth market analysis, site evaluation, and feasibility studies. The company has always strived hard to keep its commitments and thus enjoys an extremely resonant reputation in the construction industry. GRIH VATIKA HOMES ALSO ASSISTS THE HOME BUYERS TO AVAIL LOAN FROM BANKS. GRIH VATIKA HOMES IS AN ORGANIZATION WHERE QUALITY MEETS EXCELLENCE WITH ATTENTION TO DETAILS. Tags: Builder in Patna | Builder in Bihar | Best Builder in Patna | Builder Patna | Top Builder in Patna |Top Construction Company in Patna | Apartment in Patna | Flat in Patna.